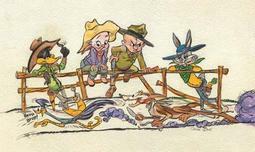 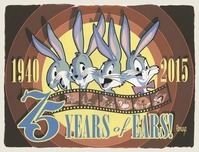 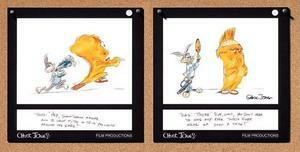 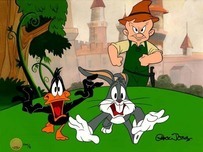 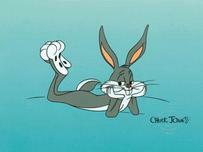 Chuck Jones (1912-2002) began his 60 year career at Warner Brothers in 1934. 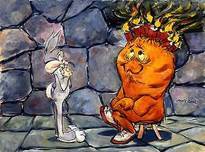 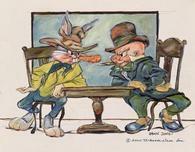 Chuck Jones helped to bring to life many of Warner Brother's most famous characters, - Bugs Bunny, Daffy Duck, Elmer Fudd and Porky Pig. 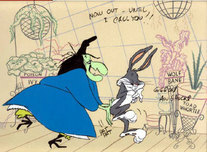 After the close of Warner Brother's Studio, Chuck Jones briefly worked for Disney moving to MGM Studios where he created new episodes for Tom and Jerry and directed the classic "How the Grinch Stole Christmas." 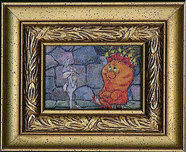 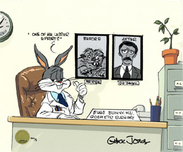 Chuck Jones established his own production company, Chuck Jones Enterprises, in 1962 and produced nine half-hour animation films for television including Rikki Tikki Tavi and The White Seal. 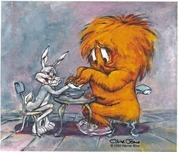 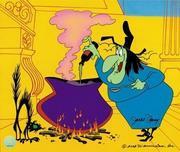 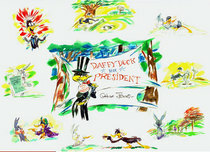 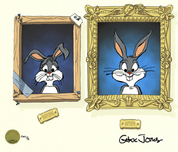 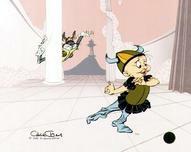 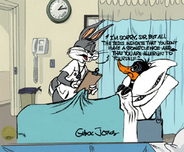 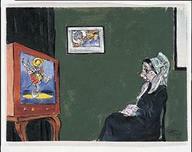 Chuck Jones was a prolific and decorated artist whose work is still being enjoyed all over the world. 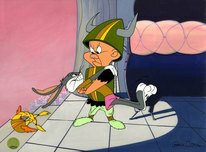 Bugs Bunny is an animated rabbit who appears in the Looney Tunes and Merrie Melodies series of animated films produced by Warner Bros, one of which, 1958s Knighty Knight Bugs, won an Academy Award, hence his standard introduction on his 1960-launched television series, that Oscar-winning rabbit. 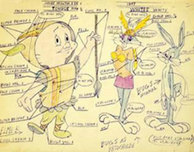 According to his biography, Bugs Bunny was born in 1940 in Brooklyn and was the product of many creators: Ben Bugs Hardaway, who created a prototypical version of Bugs that appeared in 1938s Porky's Hare Hunt, 1939s Prest-O Change-O, 1939s Hare-um Scare-um, 1940s Elmers Candid Camera and 1941s Elmers Pet Rabbit. 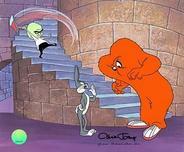 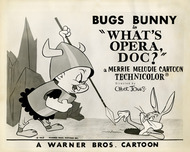 Although billed in the last as Bugs Bunny--the first time that name was used on-screen. 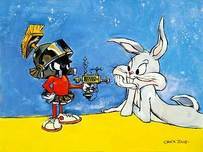 According to Mel Blanc, his original voice actor, Bugs Bunny's accent is an equal blend of the Bronx and Brooklyn dialects. 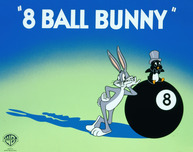 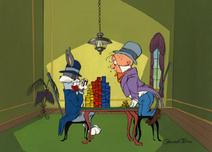 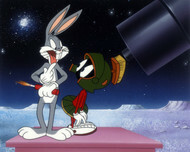 Bugs Bunny is one of the most popular and recognizable cartoon characters in the world. 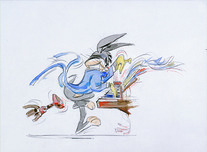 Remember every time you purchase a Bugs Bunny artwork over $995, shipping is FREE in the continental U.S. and there is NO SALES TAX when you purchase outside of Colorado. 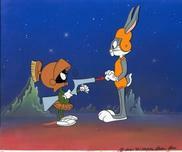 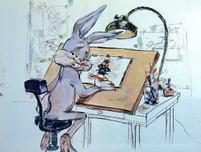 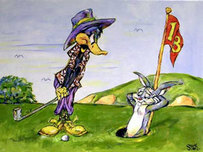 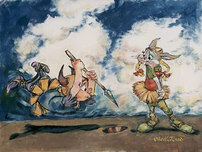 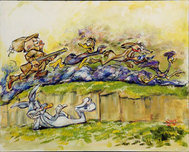 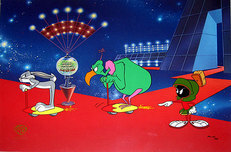 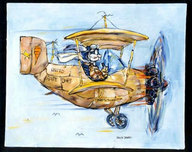 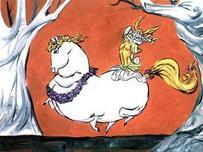 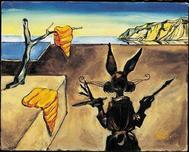 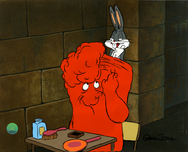 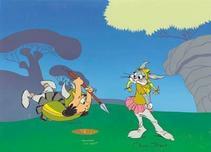 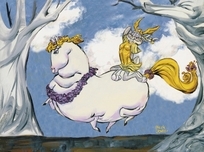 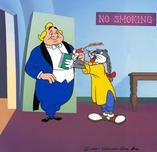 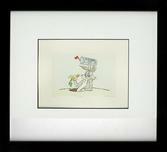 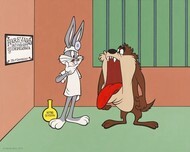 We SHIP WORLDWIDE and offer Layaway for Bugs Bunny art.